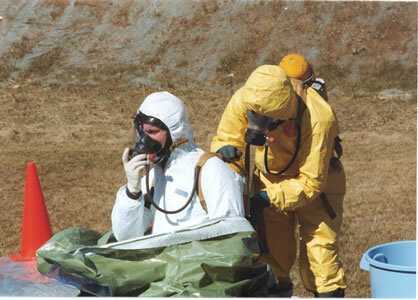 What are the necessary qualifications of a HAZWOPER instructor? Description: MARCOM's "HAZWOPER Complete 40 Hour Training Package" assists facilities in complying with the employee training requirements of OSHA's HAZWOPER regulation (29 CFR 1910.120), and helps employees avoid exposure to hazardous materials.Hazardous materials and waste are part of many work situations, and can be found on many types of job sites. OSHA feels that it is so important for employees to know how to recognize these potentially dangerous substances (as well as how to handle and dispose of them properly) they have mandated that anyone working with these materials receive comprehensive training in this area. In 1976, the U.S. Environmental Protection Agency (EPA) issued the Resource Conservation and Recovery Act (RCRA) to regulate the handling of hazardous waste "from cradle to grave". Since then other regulations have followed, including OSHA's 29 CFR 1910.120, also known as HAZWOPER. As part of these regulations, there are varying requirements for employee training, depending on an employee's specific level of involvement with hazardous materials. 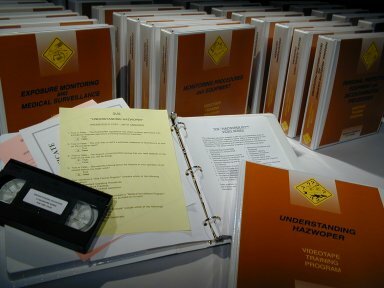 The Package of 20 Video Programs provides the comprehensive information needed by employees who are exposed to hazardous substances as a routine part of their jobs, the people who supervise and manage them, as well as HAZMAT "Incident Commanders". Each Video Program comes with a comprehensive Leader's Guide, reproducible Scheduling & Attendance Form, Employee Quiz, Training Log and Training Certificate. Each Program can be used as the basis for approximately two hours of classroom training.